Vienna is a musical, artistic, aesthetically-pleasing city; one that caters to romance and grandeur. While staying in Vienna for a week or longer is ideal to totally capture all of that, sometimes that’s just not possible. Whether you’re in Vienna just for a day due to a river cruise port of call, long flight layover, a day off on a business trip, or just limited vacation time and you’ve always wanted to go to Vienna, you can still explore this capital city of Austria and get a feel for its culture and history. Here are the top sites to see if you have only one day in Vienna. Success! BUT there's ONE MORE QUICK STEP to get your Vienna Transportation Cheat Sheet -- Check your email and confirm your subscription (if you don't see the email, check your junk folder) and then you'll get an email with a link to the document. You'll also be subscribed to One Day in a City's newsletter which has helpful travel tips, news, and giveaways, but you can unsubscribe at any time you'd like. I look forward to having you part of the One Day in a City community! Though it’s a bit of a trek to get to, Schönbrunn Palace is still a must to make time to see even if short on time in Vienna. Schönbrunn Palace was the summer residence of the Habsburgs in Vienna and it’s an elegant, stately masterpiece to behold. While touring Schönbrunn Palace, you’ll see the bedchamber of Emperor Franz Josef, the dressing room of Empress Elisabeth (Franz Josef’s beloved wife), as well as their bedroom. You’ll also walk through the Great Gallery and the Carousel Room, which are home to impressive frescoes and works of art. Other rooms you’ll see include quarters for living plus rooms used for entertaining and conducting business by the royal family. The grounds of Schönbrunn Palace are also lovely to walk around. Unless you’ve spent too long inside, take the time to make the trek up the manicured hill to the Gloriette, an open-air structure that has gorgeous views of palace and Vienna in the distance. 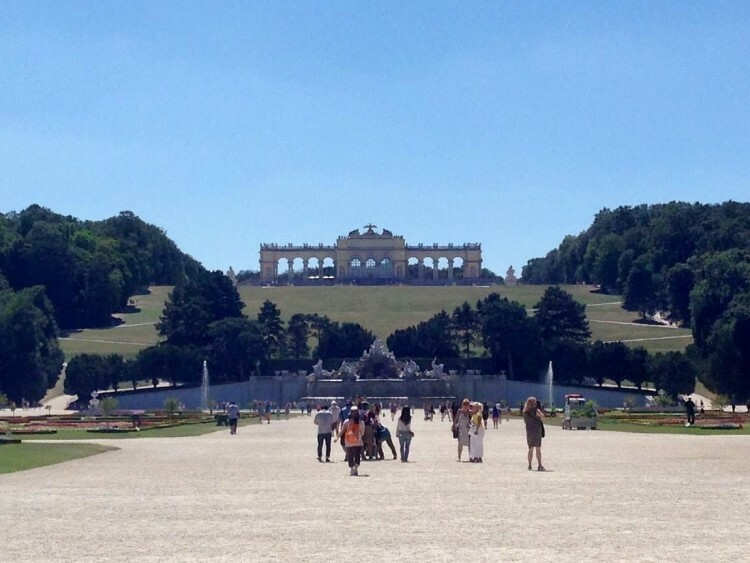 Walk up to the Gloriette atop the hill by Schonbrunn Palace. Try to visit Schönbrunn Palace first thing in the morning before the crowds get really thick. You’ll be able to tour it faster and then have the rest of the day to explore the other can’t-miss sites of Vienna. Scarf — If you don’t want to pack a whole dress for one night, stick in a dressy scarf. This can also do double duty by being a shoulder cover for churches you visit that require certain skin coverage. This is a beautiful scarf option. Bring waterproof shoes in the winter that have good traction in snow. These shoes are cute, affordable, and would be easy to pack. Comfortable walking sandals that can do double duty with that aforementioned dress. Secure Purse or Daypack — Choose one that crosses your body and which you can keep in front of you (no backpacks as they’re more susceptible to pickpocketing). Rathaus is the city hall of Vienna and is the seat of the mayor plus houses the city council. It was built in 1883 and is an example of Historicism architecture, which blends historic architect styles of the past with a new style that is all its own. The tower is the most reminiscent of a specific architecture style thanks to its Gothic look. While visiting Rathaus, be sure to look for the Rathausmann, a knight sculpture atop the tower which stands guard over the city. The Rathaus Tower is accessible via 331 steps which take you up spiral staircases to a landing with great views of Vienna, but if you only have one day in Vienna you may want to skip making this trek unless you really want the photo op. The Spanish Riding School is where the famous Lipizzaner stallions and their riders are trained, and taking in a show there is a marvelous way to spend an hour. You’ll watch the elegant horses perform within a historical building and learn more about their history and prestige. For more on the show, visit my post about the Spanish Riding School that also has videos of the cute Lipizzaner foals and a carriage performance. It is recommended that you purchase your tickets in advance as the best seats generally sell out in advance (during peak travel times all seats may sell out in advance). 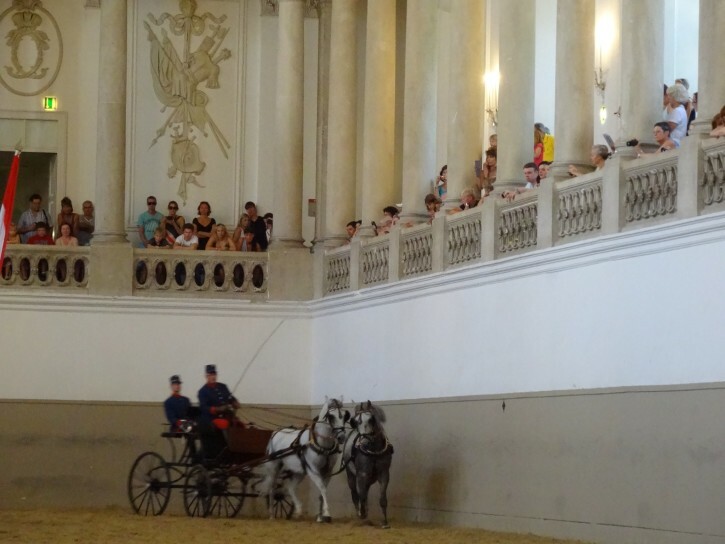 The Spanish Riding School is located in Hofburg Palace, which also is worthy of some of your time in Vienna. Hofburg Palace, also referred to as the Imperial Palace, has been the home of many members of Austrian royalty, like the Habsburgs, and is still lived in today by the President of Austria plus is the location of the offices for the ministers of the chancellor’s office and the secretaries of state. If you’re worried about time, you can quickly walk around the Hofburg Palace complex to see its array of different architecture, ranging from Neoclassical to Baroque. 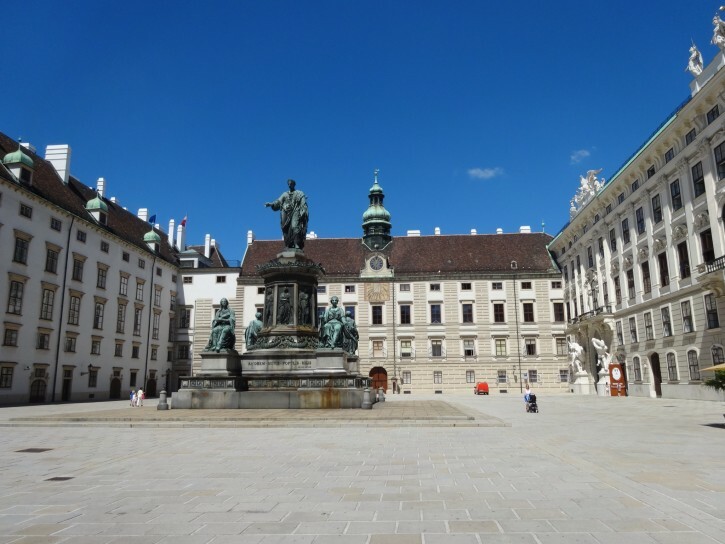 However, if you’re a big fan of Emperor Elisabeth or love old palace décor, you may want to make time to visit Hofburg Palace’s two onsite museums: the Sisi museum (Sisi was Empress Elisabeth’s nickname) and the Imperial rooms of the palace. Now we’re onto the music part of your time in Vienna. 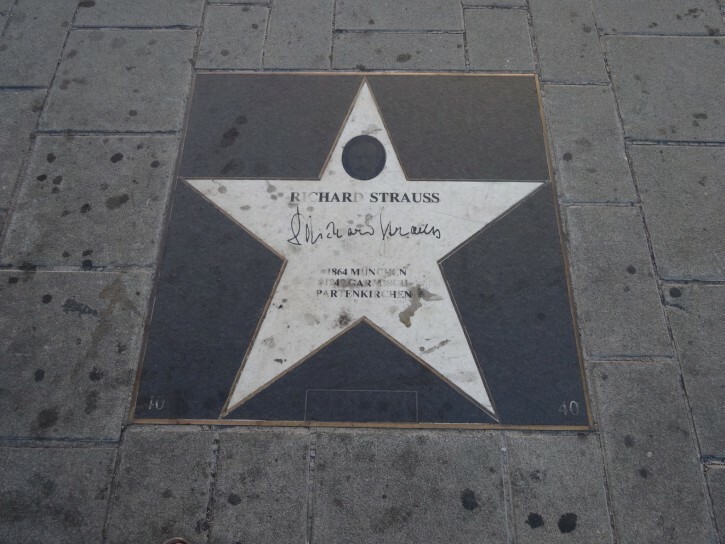 The musical side of Vienna is one you cannot miss experiencing during your one day in Vienna. 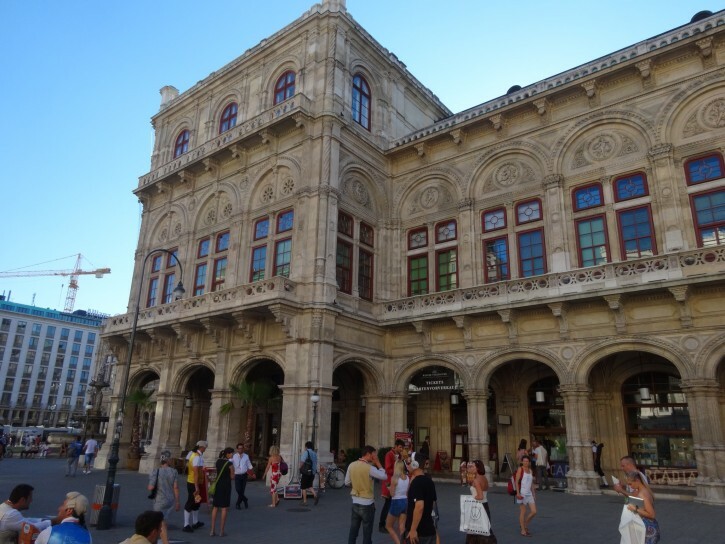 The Vienna State Opera is Vienna’s most famous musical landmark and you should at least walk by it to take in its beautiful ornate architecture and see the stars of composers lining the ground – a more sophisticated version of Hollywood’s Walk of Fame. If you can, see a show at the Vienna State Opera, but don’t worry if it’s sold out or you’re there in July and August during its hiatus as there are plenty of other wonderful places to hear music in Vienna, including my favorite, the Musikverein where you can see the Vienna Mozart Orchestra perform in historical costumes and wigs. The musical shows are often in the evening and make a good ending to your day in Vienna. But before you end your day, there are other sites to see, including more musical ones, like the Mozart House. You don’t just have the opportunity to hear Mozart in Vienna; you can also see where he lived. Mozart spent much of his life in Vienna and you can tour one of his homes while in the city. Aptly called the Mozart House, you’ll walk through rooms where Mozart lived and composed music and which today are set up like a museum with information about his life, displays of his musical compositions, and pictures. You’ll also get a sense for how Mozart and other affluent people lived in the 18th century as you walk through each room of the house. Vienna’s MuseumQuartier is one of the largest art and culture complexes in the world. The buildings that make up the MuseumsQuartier date back to the 18th and 19th century and are lovely to walk around in as they are surrounded by gardens and creative courtyards plus quaint cafes. 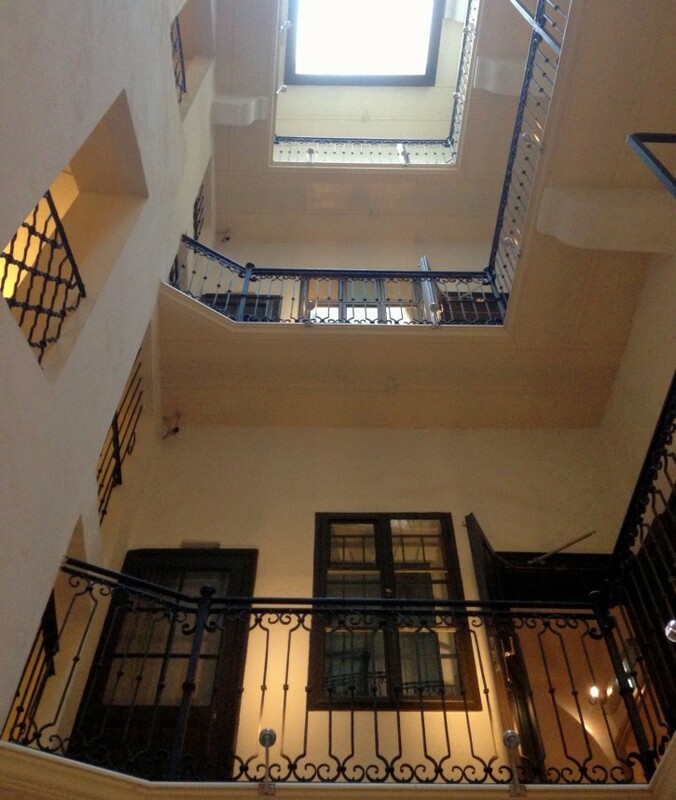 Inside the buildings, you’ll find a multitude of impressive art collections. To see multiple museums would take too long when short on time so choose the MuseumsQuartier museum that is most appealing to you. One that stands out is the Leopold Museum, which features Viennese artwork. But there are also museums for modern art, photography, natural history, architecture, and children. Another museum option for your one day in Vienna – especially if you’re a book lover – is the Austrian National Library. Located outside of the MuseumsQuartier, it is the oldest library in Austria and houses over eight million books and historic artifacts and its onsite museums house objects ranging from papyrus to historic globes to music manuscripts. Pssst…Follow me on Instagram for more travel inspiration and tips! 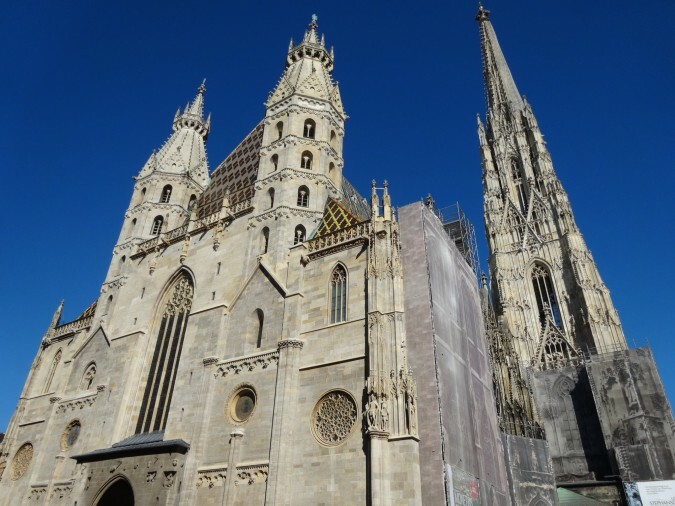 If there’s one historic church you should see while in Vienna, it should be St. Stephen’s Cathedral. The church (referred to as Stephansdom in Vienna) combines Romanesque and Gothic architecture that blends together impressively with a prominent spire that juts up into the sky. Construction on St. Stephen’s was started in the 12th century (though it underwent extensive rebuilds after World War II) and since then has been a prominent landmark in central Vienna. The church is of Roman Catholic denomination and still holds weekly masses. If you’re into stately architecture and palaces you may want to try to squeeze in one more stop: the Belvedere. The Belvedere consists of two 18th century palaces, the Upper Belvedere and the Lower Belvedere, that are excellent examples of Baroque architecture. Today, you can see that architecture up close while touring the museum exhibits located on the premises of the Belvedere palaces. The Upper Belvedere also has excellent views of Vienna – ideal for those looking for a good photo op of the city. Quick side note: This article contains affiliate links, which means I get a small percentage from any sales made through those links at no extra cost to you, which helps keep this site up and running with more great travel content! I only link to products I use and like. Thanks for supporting One Day in a City! Need somewhere to rest your head after your busy day exploring Vienna? Aviano Hotel in the heart of the city is a a wonderful option with a hands-on owner, elegant guest rooms, delicious breakfast, and a budget-friendly price. I loved my stay there and highly recommend it. Click here to see photos and rates for Aviano Hotel. If you want to go all-out luxury, it’s hard to beat the Hotel Sacher Wien. It’s home to opulent architecture, 5-star service, and sumptuous rooms. Plus, its adjacent cafe is home to some of the best desserts and hot drinks in the city. Click here to see photos and rates for Hotel Sacher Wien. You can also search for the perfect Vienna hotel for you by using Booking.com, which is one of my favorite hotel booking sites since it is super easy to use and see the rooms available, plus has free cancellation for most rooms. During your day in Vienna, also be sure to try a Viennese coffee at one of Vienna’s many cafes (which will also let you experience Vienna’s vibrant cafe culture). Viennese coffee is creamy, frothy deliciousness and will help keep you alert for a busy day of sightseeing in Vienna! 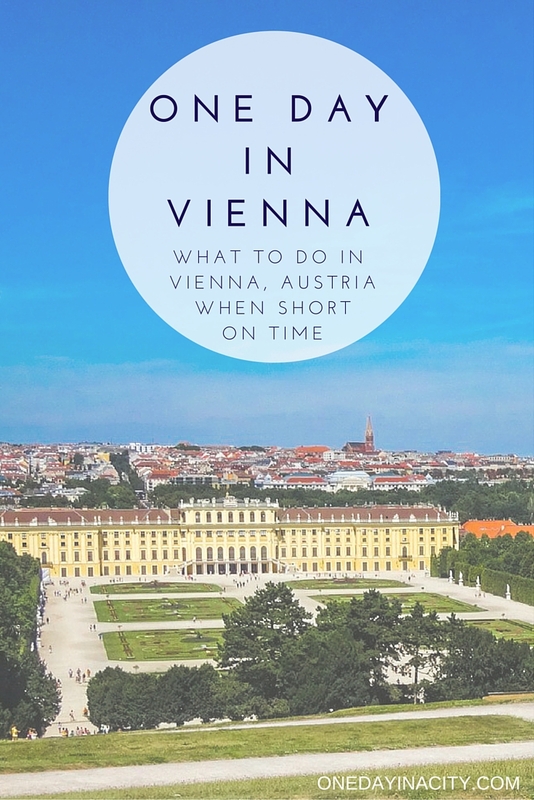 And don’t forget to download my helpful Vienna Transportation Cheat Sheet! Found this article helpful? Pin it to read again later! Hello great content and tips for some Wientime, during my summer vacations I will have almost a full day between 2 flights in Vienna. I’m looing for the fastest safest and most reliable transfer from the airport to the city centre and back on time… money is not a problem that much, but of course don’t want the have twice as much as I should… I found this service http://wientransfer.com/, what do you think of them? Are they good do you anything of them? How about the train? I read it takes 16 minutes to city center. Yes, that’s correct — the City Airport Train (CAT) takes 16 minutes from the airport to the Wien Mitte stop in the city center. We (4 people) have a 9 hour layover in Vienna in May 2016. Can you recommend a tour provider that can pick us up at the airport and give us a private tour? 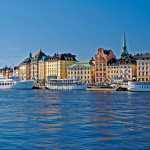 I’m not personally aware of any to recommend, but Viator.com may offer this type of tour package. Enjoy your layover!